Is your Mother's Day budget tight this year? Your mom will love the Fashion Collection from Dust-Off, featuring double-sided microfiber cloths in beautiful colors and prints! For just $4.49 each, these handy 5"x6" mobile screen cloths will instantly (and safely) wipe away the fingerprints, dirt, grime, oils, and makeup from all your screens. Choose from a beautiful Blue/Black Damask Print, Orange/Leopard Print, and Hot Pink/Zebra Print, or get all three so you can spread the Dust-Off love around to others too. Tuck one into your own handbag and delight your kids with one to keep their handheld game systems and tablets clean too. I even use mine to keep my reading glasses clean! Mother's Day is coming up very soon and it's "time" to appreciate Mom for all the wonderful things she does for you! Check out WorldofWatches.com for a beautiful, fashionable variety of watches. This elegant Lucien Piccard Landes Women's Watch is one of their newest styles. The classic, graceful watch face is stainless steel, with rose and yellow gold plate polished to a shiny glow. The shimmering pave-set crystal bezels surround the sun-ray dials that feature luminous hands and Roman numerals on a black dial. The two-tone metals match mom's other jewelry no matter what she chooses. The watch band is flexible and the locking, push-button release clasp keeps my watch securely on my arm until I'm ready to take it off. It's very comfortable to wear and keeps perfect time. It's the perfect fashion accessory that does more than just look beautiful! My watch arrived in a beautiful gift box with the watch wrapped around a velvet pillow. It's a wonderful presentation for a Mother's Day gift that protects the watch in shipping. Order today! WorldofWatches.com also offers free standard shipping, no-hassle returns, and a fantastic WOW Perks+ member program. 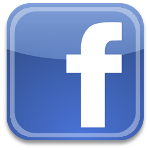 Be sure to follow them on Facebook, Twitter, Instagram and Pinterest too! Plus, if you tweet at @WorldofWatches and include the hashtag #WOWxPlanet they will reply back to you with a promo code to get $10 off a purchase of $100 or more, on any order (including sunglasses) at WorldofWatches.com. Don't forget to enter below to win this watch for your mom or for yourself! Win a Lucien Piccard Landes Women's Watch! To enter, just fill out the Rafflecopter form below. You must be at least 18 years old and reside in the USA. Only the first entry is mandatory; bonus entries increase your chance to win. Giveaway ends on May 11, 2014. Good luck! Las Vegas is a place that is almost shrouded in both myth and mystery at this point in its history. It is a city that everyone dreams of visiting at some point in their lives. People who come back usually say that, while they would not want to live there, it is something that you just have to do once in your life. You need to walk down The Strip, looking at all of the bright lights, hearing the sounds of the gaming tables. You need to stay in a fancy hotel and spend your nights on the floor of a casino. That's what they all say when they get back, and these testimonies are what create a lot of the draw that the city holds for those who have not been there yet. The truth, though, is that a trip to Vegas is only going to be great if you do what it takes to get the most out of it. If you do not prepare for it properly, you are not going to enjoy it nearly as much as you should. You need to look into all of your options, from the hotels and casinos owned by Steve Wynn that are in the heart of the city to the hotels on the outskirts, where you can get a lower price per night, but where all of the excitement and activity is far away. You need to plan in advance. Part of this is just out of necessity. Hotels are going to fill up quickly. Flights are going to sell out. If you decide that you do want to stay downtown and then you try to book your room just a few days before you leave, you may not have a choice. You may end up in one of those hotels on the outskirts because they are all that is left. Another part of it is just so that you can see everything that the city has to offer. You need to have time to look over your options, comparing each place that you stay to your wish list. Do you want to pick a hotel that has a casino on the ground floor so that you never have to leave the building if you don't want to do so? Do you want to choose a resort where you have great dining options, or are you looking for an all-inclusive option so that you do not have to budget out your meals each day? The city has everything that you could ever want, but you do need to take your time and make sure that you find it before booking. Read reviews and make your decisions based off of other people's experiences. Finally, take a little time to plan out some things that are unrelated to gambling. Las Vegas has comedy clubs where you can enjoy an evening of laughter and fun. It has bars where you can watch sports on HD televisions and enjoy beer from all around the world. It has all sorts of attractions, from amusement rides to steakhouses. The main thing that people think about is gambling, but there is so much more to it than that. Do not sell yourself short by neglecting all of these things, or your trip will not be all that it can be. MobiRock from iLuv is an NFC-enabled bluetooth speaker that can stream music AND charge a QI-enabled smartphone wirelessly. The speakers on MobiRock are incredible, featuring jAura technology that delivers both clarity and balance. I've been enjoying my favorite tunes on MobiRock for a couple of weeks and I'm extremely happy with it. It works great with my iPhone and also works on Samsung, Nokia, LG, Motorola, Google, Blackberry, HTC, and many others. The center front cradle holds your cell phone for charging wirelessly, but if you prefer you can also use the USB port in the back. The control buttons are all backlit touchscreen and are located on top of MobiRock, plus it comes with a remote control and of course a power cord. There are also voice prompts letting me know when it's pairing up with my smartphone and MobiRock even tells me goodbye. I am a huge fan of iLuv technology products because I've always found them very easy to set up and use. Many of today's electronics can be complicated, but even my grandmother could figure out MobiRock! It's a clean, sleek mid-size home decor accessory that looks very nice in my office. Before I had MobiRock, my tunes would drain my smartphone battery, but now my music charges me and my phone! Grab one for yourself and get one for a gift to surprise someone special for Mother's Day, Father's Day, graduation, or birthday! Why Don't Bloggers Review Products Faster? "Why don't bloggers review products faster?" "How long could it possibly take to review the product I sent?" "I better send a follow-up email to make sure the product arrived and maybe that will remind the blogger to hurry up and review it." "Okay, so if the product is there, why isn't the blog post written yet?" "It's been a whole week since it was shipped! 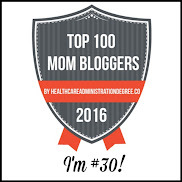 Maybe I better email the blogger again and get an estimated posting date." "I bet that review won't ever be posted and now my company out a $20 product plus shipping. Bloggers are so unprofessional." 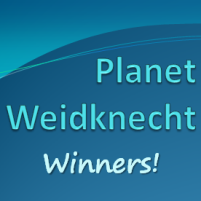 When a product arrives at my house for review on Planet Weidknecht, it generally falls into one of two categories: perishable or non-perishable. Hopefully that fact is marked on the outside of the box. Perishables are opened immediately, a few quick initial photos are taken, then into the fridge or freezer it goes. Non-perishables are opened (usually within a day or two) then join the review table (which stretches across several tables). At any one time, there are as many as 30 items waiting to be reviewed. Everyone wants their product advertised as soon as possible and bloggers work very hard to achieve a level of balance for all. Products are reviewed in the order received, unless of course there is a looming deadline agreed upon in advance or the product is accompanied by the generous nudge of a company who actually pays for a blogger's time and work. Most don't. Bloggers also don't work 16 hours a day, 7 days a week, to review products so, not surprisingly, products are seldom reviewed the same week they are received. Reviewing a product can be a lengthy process. The first photograph is of the product, either in the packaging or immediately out of the packaging. The photography step is tricky by itself because unless a blogger has a full-on studio (most of us don't) we have to wait for the right lighting, set up the area around the product, select appropriate props, and then take a number of photographs from different angles to find the optimum introductory photo that will entice a reader to take the time to read. The next step is to actually use the product, while taking pictures during the process. If it's a food item, it has to be prepared (and photographed) and tasted (and photographed again). If it's a food ingredient, a recipe creation is often necessary or at least a website search to find a recipe that can be used or modified to feature the ingredient. Again, preparation and tasting are photographed extensively. If it's a fashion item, the blogger has to put together an entire look that highlights the product. Since bloggers are often home without other adults around all day, recruiting a stand-in photographer is necessary. It may end up being a six year old or an overworked husband home in the evening, neither of which truly understands how a blogger needs lots of photos taken to find the right one. In addition, finding the right natural background (either inside or outside) and lighting can also be a challenge. Each product comes with its own review challenges, whether it be a frustrating assembly process, an uncooperative child that isn't in the mood for helping, a pet that won't sit still for photos, or a product that just doesn't photograph well. If it's raining, photographs are too dark. If it's too sunny, photographs looked washed out. Once the product has been used and photographed, the blogger moves on to the editing phase. From the 20-100 photos of a single product that are uploaded to the computer, usually only about 2-10 actually make it past the approval stage. Woe to the blogger that is unhappy with all the photos and must restart the entire process! Then the approved photos need to be edited, which can include re-sizing, enhancing, cropping, re-naming, and occasionally adding requested overlays or text. The next step is to write the blog post. After reviewing hundreds of products, it can be tricky to come up with wording that doesn't sound like every other post on a blog. A blogger needs to be creative, funny, and original, yet sincere, personal, and honest, while writing a blog post of 200-500 words that clearly describes the product, its uses and features, and how it improves the blogger's life in some way. If the product doesn't perform as desired, the blogger is faced with contacting the company for possible replacement or a mutual agreement to forego the review process. Some bloggers are comfortable about posting negative reviews, but I personally prefer to only share products with readers that I can recommend. Once the post is written, it must be re-read multiple times to make sure the wording, grammar, and punctuation are correct. The photos are added to the post, as well as text links to the company's preferred URLs and social media accounts. Bloggers also have to adhere to (and include) FDA disclosures about receiving products or compensation. If a giveaway is part of the review, bloggers must create a giveaway form and insert that into the post. Finally, the post is ready to go live. A blogger's job is not done yet for that product. That post is then shared to Facebook, Twitter, Google+, LinkedIn, Pinterest, StumbleUpon, and a host of other sites, in order to reach as many readers as possible. The sponsor must also be notified that the post is live. If it's a giveaway post, it needs to be promoted throughout the entire giveaway time frame. 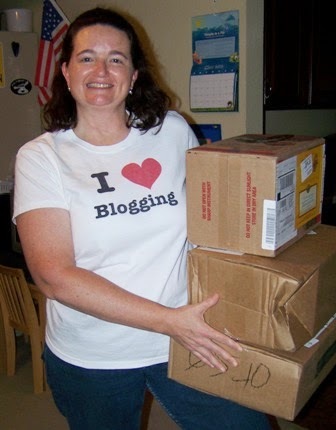 At the end of a giveaway, the blogger must randomly select the winner, contact the winner, wait for a response, and then provide the sponsor with the winner information. Follow-up may be required if a winner doesn't receive their prize in a timely manner. Although this is a description of the review process in general (and that's just for ONE product), bloggers may face a host of other challenges along the way, including things beyond their control, like hacked websites or computer crashes. 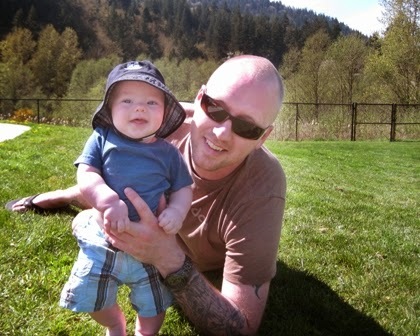 Then there are the pitfalls of everyday life at home that include spouses, children, neighbors, pets, phone calls, deliveries, and the stream of steady noise and confusion that comes from that, all occurring around the blogger in the home while the review process is happening. 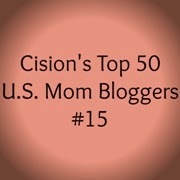 The blogger is also busy answering the flood of daily emails from readers, PR reps, bloggers, and companies. Keep in mind, the blogger may be working for simply the product received, without any other kind of compensation. Yes, blogging is fun, but sometimes it can be difficult to find a balance and it's easy to get overwhelmed. Bloggers put their heart and soul into what they post. They spend tireless hours at the computer not just to get something for "free" (insert hysterical laughter here) but to contribute something meaningful to the rest of the world. And THAT'S why bloggers don't review products faster! P.S. 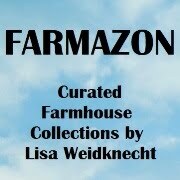 If you'd like a product review, please contact me at LisaWeidknecht@hotmail.com. Love prizes? Enter to win! 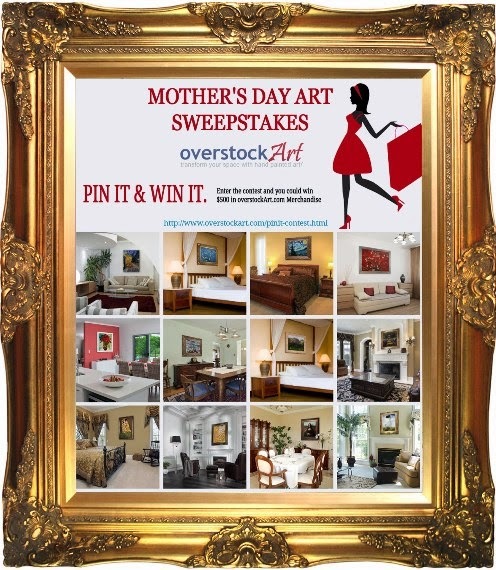 If your Mom loves art then you should consider joining the overstockArt.com Pinterest Contest held from now until May 15th. The contest is a Pin It to Win It style event, and all you need to do is create a Mother’s Day Art board and you’re in! Spring has sprung, and as always you can count on us for seasonal gifts and freebies that will outlast the hollow chocolate bunnies. Today we’ve got ever lasting blooms to make Mom’s day! overstockArt.com is an online gallery of hand painted art (yes, they are hand painted!) and they are hosting a fun Pinterest contest where the winner will enjoy a fabulous $500 art shopping spree. Entry to the contest is simple. Customers just need to create an “overstockArt Mother's Day Sweeps” board using their account on Pinterest and pin five overstockArt.com framed art images. So if you or your mom is an avid art lover consider joining this fun contest. Imagine that if you’ll win maybe Mom will even swap out one of those awkward, embarrassing pictures of you on the wall! Check out this information about a great video contest sponsored by Let’s Play, a community partnership led by Dr Pepper Snapple Group (DPS) in partnership with KaBOOM! and Good Sports. The contest, hosted by DPS and Let’s Play partner KaBOOM!, kicks off today and will grant $20,000 to five communities to build their own playgrounds! Communities across the nation are invited to mobilize their neighborhoods and rally support to create and submit a video that shows why play matters to them and their community! Who: Your online and local community! The contest is open to everyone in the U.S.
What: Submit a 1 – 2 minute video through www.KaBOOM.org showcasing why play matters to you and your community. Prize: Five winners, chosen by public voters, will receive a $20,000 grant toward the purchase of playground equipment to help break ground on a new community playground! To learn more about the contest, please visit www.KaBOOM.org. Allergy season is upon us! Temperatures are rising and days are finally sunny, so why spend time cooped up inside just because you are an allergy sufferer? It's time to step out of your misery and into the beautiful springtime weather without the fear of dreadful allergy symptoms. Instead of missing out on some of your favorite activities, there are surprising ways to lessen the effects of the season and get out there! Prepare for the Outdoors: If you know you will be taking a trip outside, don't wait until you have your foot out the door to take your allergy relief remedy. Consuming a remedy about 2 hours before going out will help the active ingredients kick-in in time to relieve symptoms. Timing is Everything: Pollen counts are usually highest from 5 to 10 a.m. so try and move all outdoor activities to the afternoon. If you do head outdoors and plan to garden, mow the lawn or take on other allergen-stirring chores, be sure to wear a mask. Don't Throw Away Winter Relievers: Once spring cleaning comes along, many people don't think twice about throwing away cold & flu relievers used throughout the winter months. However, these remedies can come in handy during allergy season. If your allergy symptoms are lingering and your allergy meds aren't working, chances are you have a spring cold and will want those winter relievers in your cabinet. Zinc Gluconate Lozenges, like Cold-EEZE Cold Remedy Lozenges, can help soothe sore throats as well as help stop a spring cold in its tracks with its formula clinically proven to shorten the duration of a cold by almost half. Cold-EEZE can be taken by anyone ages 12 and up. Exercise More: Physical activity can help to relieve allergy symptoms through boosting and maintaining a healthy immune system. If you are trying to avoid the pollen outside, at-home workouts will help you get your daily dose of fitness without having to endure the pollen-filled air. To make the most of your at-home workout and burn extra calories, drink a Celsius®, Your Negative Calorie Drink™, prior to your workout to help you burn up to 100 calories, boost metabolism, reduce body fat and provide you energy for your springtime chores. Wash Your Hair: While outdoors, it's more than common to catch some pollen in your hair. Your beautiful, long locks are a magnet to any outdoor allergy triggers and can have you sneezing and sniffling all night long. If you don't take the time for a rinse, pollen will stick to anywhere your head will go - including your couch and pillow! In a tumbler add ice, 4 oz of silver tequila, 2 oz of Triple Sec, 1 tbsp of Cointreau and 1 tbsp lime juice. Shake for 15 to 20 seconds and pour over ice into glasses. Makes 2 servings. Here is a brand new card-making kit from Stampin' Up! 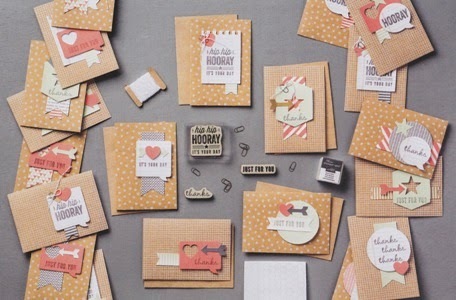 It's called Hip Hip Hooray and it contains everything you need to create 20 amazing cards. It includes cards, envelopes, self-adhesive stickers of all kinds, rubber stamps and ink, tiny paperclip embellishments, and more. Their paper crafting materials are always of the highest quality and I've never been disappointed with my purchases. If you've never made your own cards, don't worry because this Stampin' Up! kit comes with a fold-out pamphlet filled with ideas, directions, and examples. But feel free to be creative and create whatever your heart desires. I love their card kits because a handmade card is so much more personal and appreciated. Your kit comes in a handy zip-close bag so you can keep it handy until the occasion for a card arises. Best of all, the Stampin' Up! Hip Hip Hooray Card Kit is just $19.95 and if you order between April 21-25, 2014, shipping is FREE on all orders! That's less than one dollar per card, and you didn't have to drive to a card store, find a parking place, read a bunch of cards to choose one, or stand in the checkout line. Look at these two cute cards I made in just minutes! In my quest to be healthier, one of my biggest challenges is finding delicious drinks that are convenient. At home, I drink a lot of lemon water but when I'm heading out for the day, I need something to replace the simplicity of popping open a can of soda. Vemma Renew is the perfect solution for me! Vemma Renew is a healthy, non-carbonated beverage packaged in single serve cans. In addition to all those wonderful benefits, it has a delicious, refreshing, light fruit flavor that tastes like a mango juice to me. It satisfies my sweet tooth, meets my need for convenience, and quenches my thirst in a healthy, delicious way. I absolutely love it! You should try it too! Now it's even easier to order your favorite ice cream cakes from Baskin-Robbins! They have just introduced their brand new Online Cake Ordering system. Just browse through their gallery of unique and delicious ice cream cakes, perfect for any occasion, and customize it with your favorite ice cream and cake flavors. There are lots to choose from, including choice of cake shape and size! I ordered this adorable Bunny Roll Cake online for Easter and it was so easy! I logged on, selected the location nearest to my home, picked my flavors, paid online, then swung through and picked it up. I chose chocolate cake (my favorite) with mint chocolate chip ice cream (hubby's favorite). It's the cutest ice cream cake I've ever seen and it was deliciously approved by my family! Baskin-Robbins ice cream cakes are the perfect way to incorporate cake and ice cream into any occasion. They are freshly prepared to order and available as soon as 24 hours after the order is placed. Baskin-Robbins packages them safely in special ice cream cake boxes to help you get your delightful treat to wherever the celebration is taking place. Visit www.baskinrobbins.com/onlineordering to find the one for your next birthday celebration, graduation, bridal shower, baby shower, gathering of friends, or family event. It would be a wonderful gift on Mother's Day and Father's Day too. Every Baskin-Robbins ice cream cake I've ever ordered has been as delicious as it is darling. Order your ice cream cake today! Congratulations to all the newest winners! You could win too! 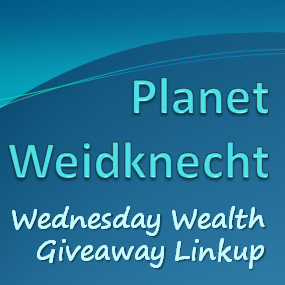 Enter my current giveaways HERE! Disclosure: I was provided lunch at no charge in exchange for my honest review. Located in the fast-growing city of Cedar Park, Texas, Zoe's Kitchen introduces its simple, tasty, and fresh Mediterranean cuisine. You can dine inside or on the outdoor patio under shade umbrellas. It's a wonderful atomsphere! Their "Fresh Take" tubs to go include hummus, tuna salad, pimento cheese, fresh fruit, chicken salad, potato salad, pasta salad, egg salad, and marinated slaw. 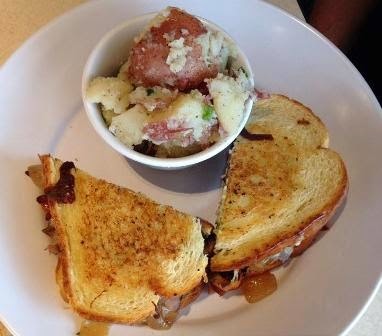 Zoe's Kitchen offers catering and gift cards. Be sure to download the Zoe's Kitchen Mobile App for daily inspiration, goodies, and challenges. Goodwin Clark, manager of the Cedar Park location, offers a huge smile to each customer. Who wouldn't smile with a chocolate chip cookie that big? Their self-service drink bar features sodas and teas, but you can order wine and beer at the counter. The bright colorful decor in the dining area is impeccably clean (as well as the restrooms). The service is fast and friendly, plus your order is brought to your table. The food is amazing!!! 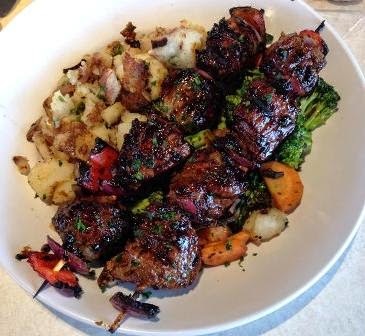 I thoroughly enjoyed the Steak Kabobs with red bell pepper, onions, grilled potatoes, and roasted vegetables. Their steak is better than I've had in expensive restaurants. My husband enjoyed the Steak Stack Grilled Sandwich with portobello, mozzarella, caramelized onions, feta spread, tomato, sourdough, and rosemary oil, plus a side of potato salad. I tasted his meal and it was incredible too. Zoe's Kitchen menu features something for everyone, including classic sandwiches like sliced turkey breast with fresh vegetables on 7-grain bread, pita sandwiches like Greek Chicken and Mediterranean Tuna, and entrees like Spinach Roll-Ups, Veggie Pita Pizza, Shrimp Kabobs, and much more. If your diet is vegetarian, vegan, or gluten-free, Zoe's Kitchen menus make it easy to find the meals for you. Plus there is a Kids Menu so your children can come along and enjoy. I highly recommend Zoe's Kitchen! Visit www.zoeskitchen.com to see the entire menu, learn about catering, or to order today's lunch! Zoe's Kitchen in Cedar Park, Texas, is located at 905 East Whitestone Blvd., Suite H, but there are locations across Texas, Oklahoma, Louisiana, Arizona, Arkansas, Tennessee, Kentucky and many more along the eastern coast.